Circles are a wonderful and versatile shape for quilting designs. Over the years, I have enjoyed working with clamshells, orange peels, concentric circles, bubbles, apple cores, and strings of pearls – all circle-based designs described in a previous post. As I was creating the quilting designs for my current quilt project, I discovered some new circle patterns to share with you. An ogee is defined as a double continuous S-shaped curve. 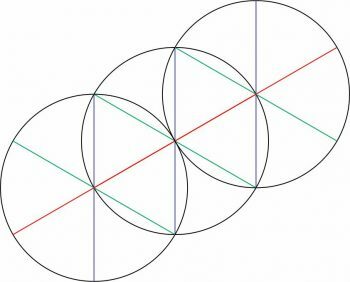 Take half a circle, then add another half circle going in the opposite direction. Continue to form the first S-curve. Add another S-shaped line curving in the opposite direction. 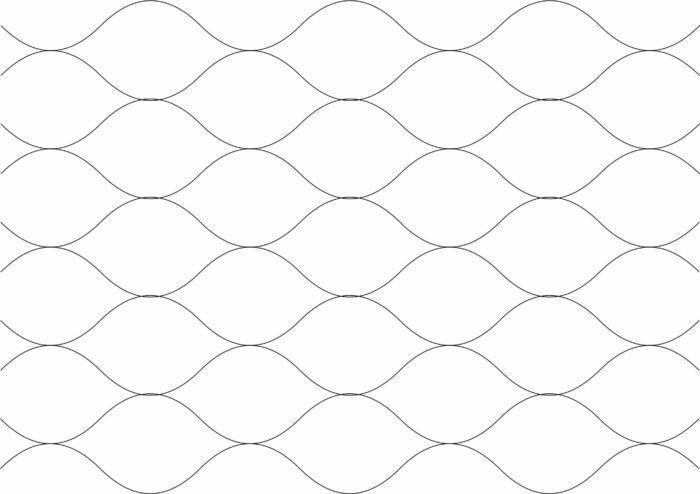 Keep adding pairs of S-curves to get a beautiful background fill. Ogees are easy to machine quilt and they look great! 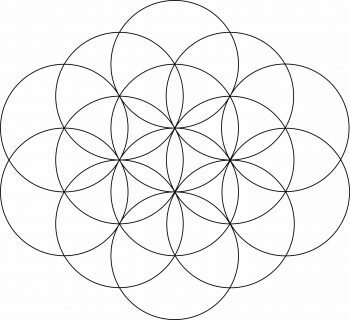 The flower of life design is created with overlapping and offset circles. 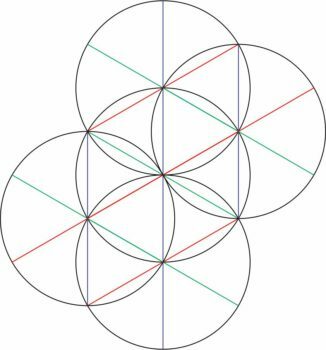 Imagine a circle divided into six 60-degree wedges. 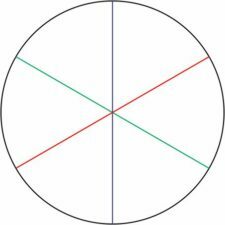 Add circles along the red line, so that the mid-point of one circle meets the edge of the other. and along the green line. Keep adding circles in the same way to get the desired size. The flower of life motif makes a gorgeous quilted background fill! Yes I do! My favourite marking pen is The Fine Line by Collins, a blue wash-out pen. If that won’t show (like on the black background), then I use the Bohin mechanical chalk pencil or the Clover white marker. 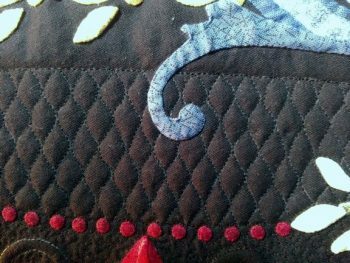 You can read more about marking quilts at https://kathykwylie.com/2012/04/marking-quilting-designs/. 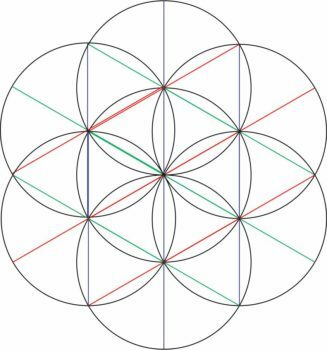 Do you draw all of these circles on your quilt? What do you recommend to use for marking? Wow! 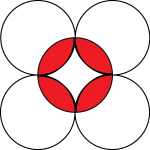 Great circle designs – thanks for the inspiration!